The HTC 10 is leaps and bounds better than the M9 was, and it looks like people are getting rightly excited about this device. The 10 beat out the GS7 in a recent AP poll, in fact. Now Verizon customers can put their money where their mouths are and pre-order HTC's make-or-break smartphone. Sprint has announced details too, but you'll have to wait a little longer. Verizon is asking $648 total for the device, which works out to $27 per month. However, the 10 is also part of a special trade-in promotion. If you do a payment plan and trade in an old phone, you get an extra $100 off the total price of the HTC 10 (in addition to the trade-in value as a gift card or account credit). Getting the HTC 10 for $548 is actually a really solid deal and brings the monthly cost down to $22.83. Verizon only offers the silver version of the device, and it should be delivered by May 5th. Over on Sprint, the carrier has announced the pricing and release timeline. On May 13th, you'll be able to pick up the HTC 10 on Sprint for $26 per month for 24 months. That works out to $624; not a bad price. Sprint also offers contracts and leases, but it didn't announce those prices (I'd bet $200 on-contract, though). T-Mobile still hasn't offered firm pre-order details, and AT&T isn't selling the device at all. 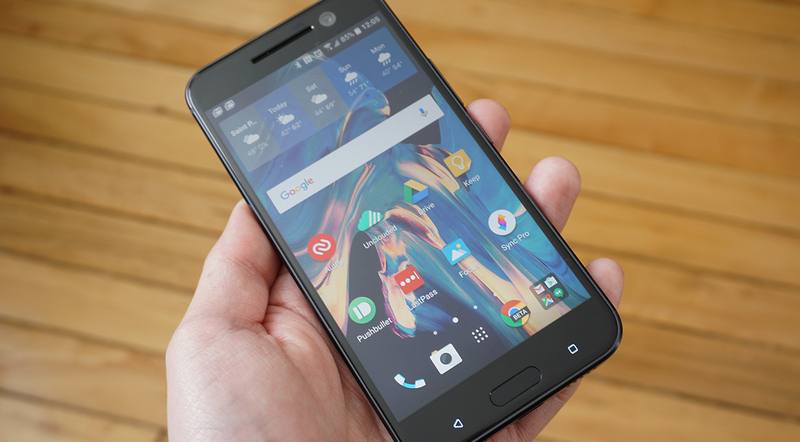 It's available unlocked from HTC for $700, and should ship in a week or two.